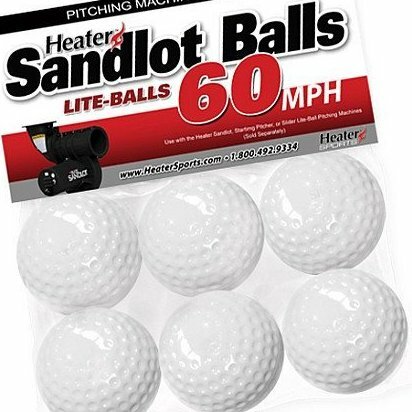 Pitches at about half the speed of regular Lite balls so kids moving from tee ball league to pitch league can learn how to hit the ball without being afraid. Dimpled design makes balls easier to focus on and provides improved accuracy when compared to seamed balls. Super soft for indoor and outdoor use. Weighs 2/3 less than regulation baseballs. 6 balls per package.